Available in a 20ml size, the spray is convenient, portable and discrete to use anywhere when away from home. It is alcohol free and is suitable for the whole family. Unique easy to use spray. Glycerine, Water, Sweetner: Xylitol, Malic Acid, Preservative: Sodium Benzoate,flower essences Helianthemum nummularium, Clemetis vitalba, Impatiens glandulifera, Prunus cerasifera, Ornithogalum umbellatum (Rescue) and Aesculus hippocastanum. Activate the spray pump before use. Bring spray nozzle up to mouth and apply 2 sprays on the tongue. Do not spray into the throat or eyes. 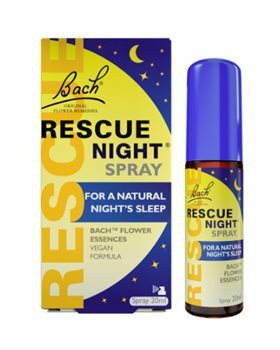 Although it is not as effective as an hypnotic molecule, in case of minor sleep disorder I personally found it effective. I even gave some to my friends!